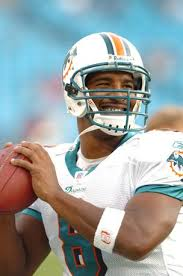 Former Miami Dolphins QB Daunte Culpepper Surrenders Florida House in Foreclosure | The Law Office of Emil Fleysher, P.A. Former Miami Dolphins QB Daunte Culpepper Surrenders Florida House in Foreclosure | The Law Office of Emil Fleysher, P.A. Daunte Culpepper’s 2006 signing with the Miami Dolphins was so disastrous that the repercussions are still being felt. In a foreclosure case, the former NFL quarterback has lost a home he bought for about $3.6 million back when he was traded to the Dolphins. He surrendered the nearly 10,000-square-foot home to SunTrust Bank back in April in lieu of foreclosure, Broward County court records show, and the bank dropped its lawsuit against the three-time Pro Bowler earlier this month. The bank cited $3 million in debt in court papers, which list a home in Weston, Fla., as Culpepper’s current residence. After growing up in Ocala, Fla., and playing for the University of Central Florida, Culpepper became a star with the Minnesota Vikings, leading the team to the NFC championship game in 2000, his first as a starter. But a serious knee injury derailed his Vikings career in 2005, and he was traded to the Dolphins in 2006. Though his return to his home state was celebrated, Culpepper failed to live up to the eight-year deal worth nearly $60 million, struggling in his comeback from the knee injury and adding a shoulder ailment as well. Things got ugly off the field between Culpepper and the Dolphins, with the team trading for quarterback Trent Green the next off-season and Culpepper asking for and eventually receiving his release. He spent three more years in the NFL, with the Oakland Raiders and Detroit Lions, and last played for the United Football League’s Sacramento Mountain Lions in 2010. If you have questions about foreclosure, loan modification, bankruptcy, or short sale, please feel free to call my office at 888-886-0020, send an e-mail to emil@fleysherlaw.com, or complete the contact form below.